Its nice when our clients get some offline media coverage. William Coles has just launched his first novel, The Well Tempered Clavier. Terinea overhauled Bills blog site. 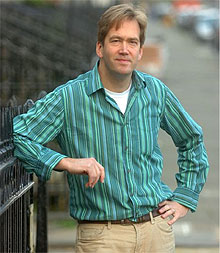 “I remember that first weekend in Edinburgh, going up the Crags and watching the sun going down over the Castle – and it just blew me away.” Having worked his way through the ranks from being a staff reporter on The Sun to New York correspondent – at the time of the Monica Lewinsky scandal – William became a political correspondent and a commentator on the royals. 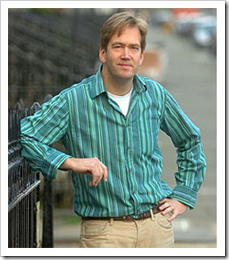 But throughout it all, he harboured an ambition to write books so, when he moved to Edinburgh, he resolved to pursue that line. 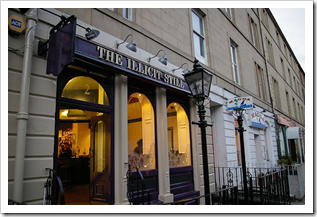 The Illicit Still is our first client in Edinburgh since House of Fraser bought Jenners Department Store, to install one of our EPoS solution, commonly referred as touch screen till! 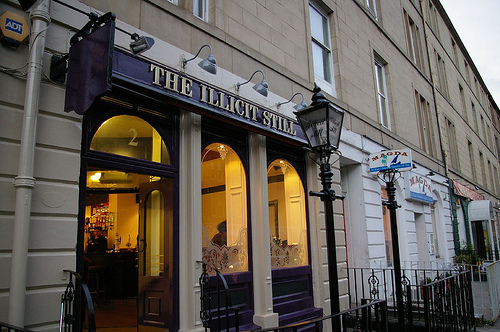 PROBABLY the first and possibly the only Edinburgh bar to utilise Facebook, The Illicit Still chronicled its recent overhaul extensively on the social networking site, as well as recruiting most of its staff through its pages. And what an overhaul. The Brougham Place bar has been completely renovated, resembling its former incarnation in shape and size only. The Illicit Still has two real ales on tap, with a pint of either Caley 80 Shillings or Deuchars IPA costing a modest £2.50. Their present promotion means you can down a pint of Foster’s Super Chilled for £2.20. A standard glass of wine comes in at £2.65, with a bottle at only £8. Get in early if you fancy a shot on their Nintendo Wii, which is hooked up to the giant plasma screen. What have our clients been up to? Nice pricing there at the Illicit Still. It’s been years since I was last inside, so I’ll check out the new refurb soon. Hope all’s well, Jamie, and congrats on the new EPoS Solution install. I’ve been in a couple of times now. The last three times I’ve not had to go behind the bar, so everything seems to be running smoothly.